This is a fabulous prize package. Especially if you're Gluten Free. My 9 year old has been gluten free for four years. We chose to try the gluten free diet as an alternative to medicating him for ADD type of behaviors. The diet has taken out the extremes we used to face. There are so many good food choices today that are gluten free, that he doesn't ever have to feel restricted. Thanks to brands like Goldbaum's. All Natural Brown Rice Speghetti- texture is the most important feature in choosing a gf pasta. The texture here is just as you would expect from a traditional pasta. 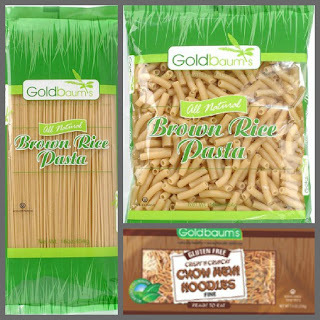 Brown Rice Pasta Penne - the texture & tastes is so similar to traditional pasta, you can serve it to everyone. 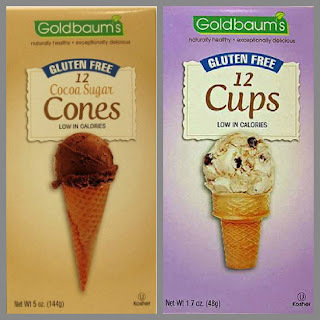 Cocoa Sugar Cones - these are wonderful! They tastes as good as any sugar cone, with the added flavor of cocoa. 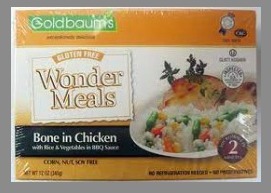 Wonder Meals - Now this is where things get different. I am so impressed with these meals, I am working to get them available where I shop locally. These meals taste homemade. Really. Perfect for the those gluten free, for times when there are no GF options available. Good for everyone for a quick, easy, healthy meal.